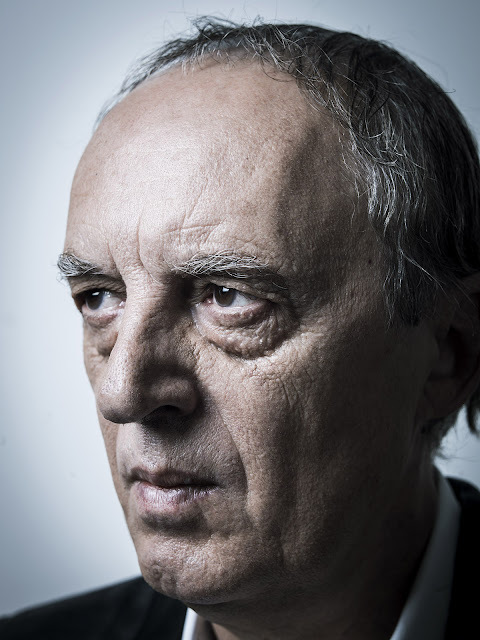 That's right, this month the fantastic Dario Argento, is my icon of the month. Argento was born 7 September 1940 in Rome, Italy. The first-born son of famed Italian producer Salvatore Argento and Brazilian fashion model Elda Luxardo. Argento recalls getting his ideas for filmmaking from his close-knit family from Italian folktales told by his parents and other family members, including an aunt who told him frightening bedtime stories. Along with tales spun by his aunt, Argento was impressed by stories from The Grimm Brothers, Hans Christian Andersen and Edgar Allan Poe. Argento started his career writing for various film journal magazines while still in his teens attending a Catholic high school. Argento did not attend college, electing rather to take a job as a columnist at the newspaper Paese Sera. While working at the newspaper, Argento also began working as a screenwriter. His most notable work was for Sergio Leone; he and Bernardo Bertolucci collaborated on the story for the spaghetti western classic "Once Upon A Time In The West". Soon after that film's 1969 release, Argento began working on his directorial debut, the giallo film "The Bird With The Crystal Plumage", which starred Tony Musante and and British actress Suzy Kendall. It was released in 1970 and was a major hit in Italy. Argento continued to concentrate largely on the giallo genre, directing two more successful thrillers, "The Cat O' Nine Tails" (1971) and "Four Flies On Grey Velvet" (1972). Along with "The Bird With The Crystal Plumage", these three films are frequently referred to as Argento's "animal trilogy". The director then turned his attention away from giallo movies, filming two Italian TV dramas and a period comedy ("The Five Days") in 1973. Argento returned to thrillers with 1975's "Deep Red", frequently cited by many critics as the best giallo ever made. The film made Argento famous internationally and inspired a number of other directors to work in the genre (John Carpenter has frequently referred to the influence Argento's early work had on "Halloween"). Argento's next movie was "Suspiria" (1977), a violent supernatural thriller. Lacking the constraints of the more conventional giallo subgenre, "Suspiria" is a semi-surreal work of art, where plot and character are secondary to sound and vision. Argento planned for "Suspiria" to be the first of a trilogy about "The Three Mothers", three ancient witches residing in three different modern cities. The second movie of the trilogy was 1980's "Inferno". "The Mother Of Tears" (2007) concluded the trilogy. In between the making of the first two "mothers", in 1978, Argento collaborated with George A. Romero on "Dawn Of The Dead", earning a producer credit and also providing soundtrack work for the zombie classic. Argento oversaw the European release of the film (where it was titled "Zombi") which was much shorter and featured much more of the score written and performed by Goblin. After "Inferno", Argento returned to the more conventional giallo style with the gory "Tenebrae" (1982). He then attempted to combine giallo and supernatural fantasy in 1985's "Phenomena", also known as "Creepers", which was one of Jennifer Connelly's earliest movies. "Phenomena" also showed Argento's predilection for using new technology, as evidenced by the film's several prowling Steadicam shots. Both films received a lukewarm reception upon their release (although each has been positively reappraised since). The lukewarm reviews for his films, however, caused Argento to slip away from directing to producing and co-writing. He wrote two screenplays for Mario Bava's son, Lamberto Bava: "Dèmoni" (1985) and "Dèmoni 2" (1986). Argento returned to directing with "Opera" in 1987. Set in Parma's Regio Theatre during a production of Verdi's "Macbeth", the production was beset by real-life misfortunes that Argento suspected were caused by the supposed traditional 'curse' on the Shakespearean play. Argento's father died during its production, Vanessa Redgrave quit the project before filming began, he had problems working with his former long-time girlfriend and collaborator Daria Nicolodi on-set and the cast and crew were plagued by several minor accidents and mishaps. Argento temporarily settled in the US, where he once again collaborated with director George A. Romero on the two-part horror-thriller "Two Evil Eyes" (1990). While still living in America, Argento appeared in small roles in several films and directed another violent mystery thriller, "Trauma" (1993), which starred his youngest daughter Asia Argento. During the early 1990s, Argento was in the process of collaborating with Italian director Lucio Fulci on a horror film. Due to financial trouble, the project was continually postponed. Fortunately in 1996, Argento was able to gather funding, but was unable to actually collaborate with Fulci as Fulci died in March that year. The film would be later be directed by Sergio Stivaletti as "The Wax Mask", with Argento and Fulci both receiving screenwriting credits. Argento returned to Italy in 1995, where he made a comeback in the horror genre with his 1996 film "The Stendhal Syndrome", in which a policewoman (played by Argento's daughter, Asia) who suffers from Stendhal syndrome is trapped by a serial killer in an abandoned warehouse. It was the first Italian film to use computer-generated imagery (CGI). Moreover, the film's opening scene was shot in Florence at Italy's famed Uffizi Gallery. 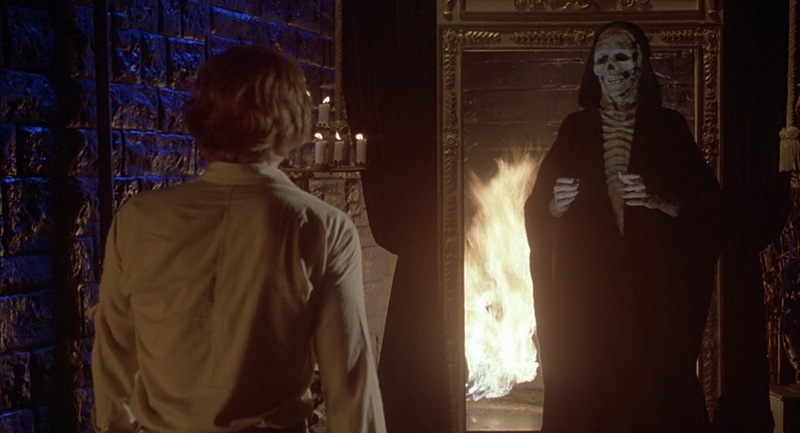 Argento is the only director ever granted permission to shoot there. "The Stendhal Syndrome" was distributed in the U.S. by cult B-movie distribution company Troma Entertainment. 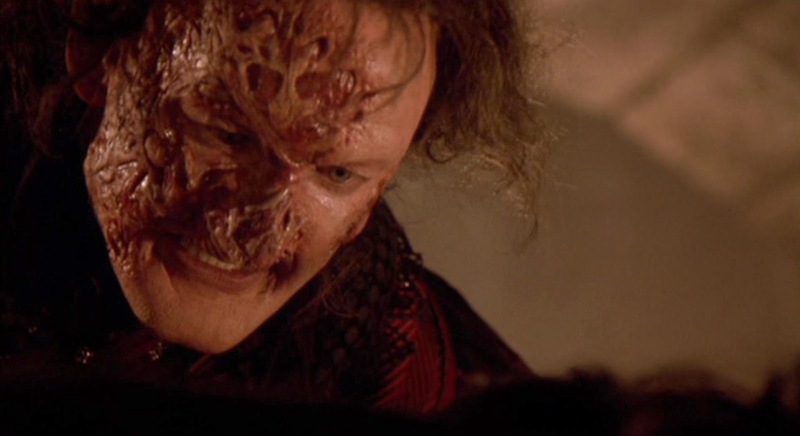 He later directed 1998's "The Phantom Of The Opera" and 2001's "Sleepless". 2004's "The Card Player", a giallo about a killer whose murders are conducted during Internet poker matches with the Rome police, earned a mixed reception: some fans appreciated the techno music score composed by ex-Goblin member Claudio Simonetti, but felt the film was too mainstream, with little of Argento's usual flourish. 2005 saw the TV broadcast of Argento's "Do You Like Hitchcock? 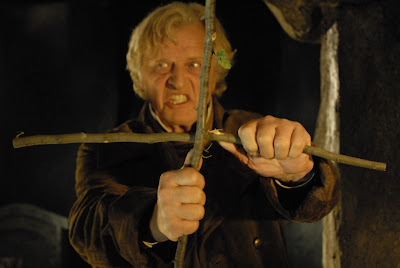 ", in which the director paid homage to Alfred Hitchcock after decades of being compared to him by critics. Later that year, he directed an episode of Masters of Horror, a Showtime television series, called "Jenifer". Soon afterwards, Argento directed an adaptation of the F. Paul Wilson short story "Pelts" for season 2 of the same series. Argento finished the final film of his Three Mothers trilogy, "The Mother Of Tears", which is set in Rome and centers on the titular "third mother", Mater Lacrimarum. Argento and Jace Anderson share writing credits for the film. Asia Argento was cast as the lead player, along with her mother and frequent Argento collaborator Daria Nicolodi in a supporting role. Udo Kier, who appeared in Argento's "Suspiria", and Coralina Cataldi-Tassoni, who appeared in three of his previous films, both have pivotal roles in the final "Mothers" chapter. On 26 June 2009, "Giallo" premiered at the Edinburgh Film Festival. The following month he announced that he had started working on a 3D remake of "Deep Red", but subsequently this project was shelved due to the commercial failure of "Giallo" in Italian cinemas. He then announced his decision to write a new screenplay. In 2011, Argento signed on to produce the American remake of his cult film "Suspiria". On 4 March 2011, it was announced that Rutger Hauer had signed on to play 'Van Helsing' in Argento's "Dracula 3D", which was scheduled to begin shooting in Budapest later in the year. It was released on 19 May 2012. 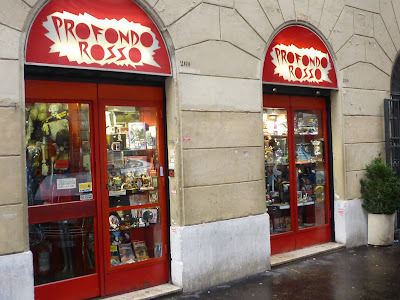 He is involved in a horror memorabilia store located at Via dei Gracchi 260 in Rome named "Profondo Rosso" (Deep Red), after his classic film. In the cellar is a collection of his movies. The store is managed by his long-time collaborator and friend Luigi Cozzi. He has contributed in the development of the survival horror video game "Dead Space", and also in the dubbing of the Dr. Kyne character in the Italian version of the game. Maitland McDonagh wrote about Argento in her book "Broken Mirrors/Broken Minds: The Dark Dreams of Dario Argento" (1991). Argento is also mentioned in "Art of Darkness", a collection of promotional stills, poster art and critical essays edited by Chris Gallant. British journalist Alan Jones published Profondo Argento, a compendium of set reports, interviews and biographical detail. In Dario Argento film journalist James Gracey provides fresh critical analysis and an exploration of Argento's far-reaching impact on modern horror cinema. English sound designer, writer and musician Heather Emmett published "Sounds to Die For: Speaking the Language of Horror Film Sound", which includes the first in-depth study of the use of sound in Argento's films. In 2012, Argento was highlighted in the retrospective Argento: Il Cinema Nel Sangue at the Museum of Arts and Design in New York City. The retrospective celebrated the influence of the Argento family on filmmaking in Italy and around the world. It highlighted Dario's contribution as well as that of his father (Salvatore), brother (Claudio), ex-wife (Daria Nicolodi) and daughter (Asia). Starting with 1996's The Stendhal Syndrome, Argento's films have been generally poorly received by critics. Fangoria wrote in 2010, "over the last decade, standards have slipped. For a filmmaker who was always so precise in his construction and cutting, his later films such as The Phantom of the Opera and The Card Player are sloppy, stitched together so carelessly that they leak vital fluid. Gradually, the kaleidoscopic style that once characterized his films has slowly blanched away."